The Jay resort is in the mountains of Vermont, a very enviro conscious state. 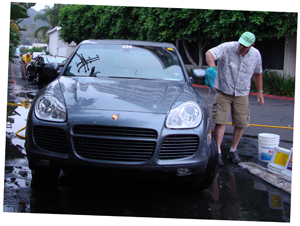 They have strict run-off guidelines, limiting our water use in the main Concours prep garages. We will have a wash station open within each: Jay and Tram House garage, but only our first weekend. The resort is working with the city and has arranged for their volunteer firemen to staff their on property Fire Station for some daytime hours all week! This area has special, less limited run-off restrictions. We have asked the volunteer firemen to host a donation boot and request your recognition of the various nuances of water use in each part of the country. Many thanks for your accommodating this situation!